Being from the deep south certainly helped stimulate the creative juices of the writing team. The fact that both have always been immersed in the music and rhythms that emulate on a daily basis in New Orleans, it was only natural that those music roots would pour out in the form of poetic story-telling. 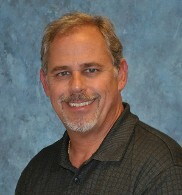 Leif hails from New Orleans and lives in Slidell, LA. He has been a big band singer for almost 40 years and spent a half dozen of those years as the featured vocalist with Buddy Morrow's Tommy Dorsey Orchestra. Leif is a former Marine and a member of Southeastern Louisiana University's Music Hall of Fame. For the past 25 years he has worked as a professional fundraising executive and spends much of his "free time" traveling with his wife Sheryl to watch their son Dane, on the baseball field; the rest of it spent singing with his 14-piece, 1944 Big Band and writing new stories for The Adventures of the Swamp Kids. "While my father's "Pedersen" side certainly has dominated most of my lifelong persona, it is my mother's "Fourrier" side and long lineage of Cajun connections back to Louis XVI that have stimulated my love for Cajun lore. I have tried to bring this to life in rhyme in these adventures". Tim Banfell also resides in Slidell and is an accomplished graphic artist and cartoonist who has a truly unique ability to take his creative thoughts and make them appear magically on paper. He has developed a devoted following for his cartoon strip, "Wrong Key", which is featured in a number of newspapers around the coast of Florida. He currently works as a graphic designer and photographer for a major oil company. While his profession keeps him in the New Orleans area during the week, he is a true "Parrot Head" devotee and you can find him most weekends frolicking with family and friends on the Pensacola Beach.